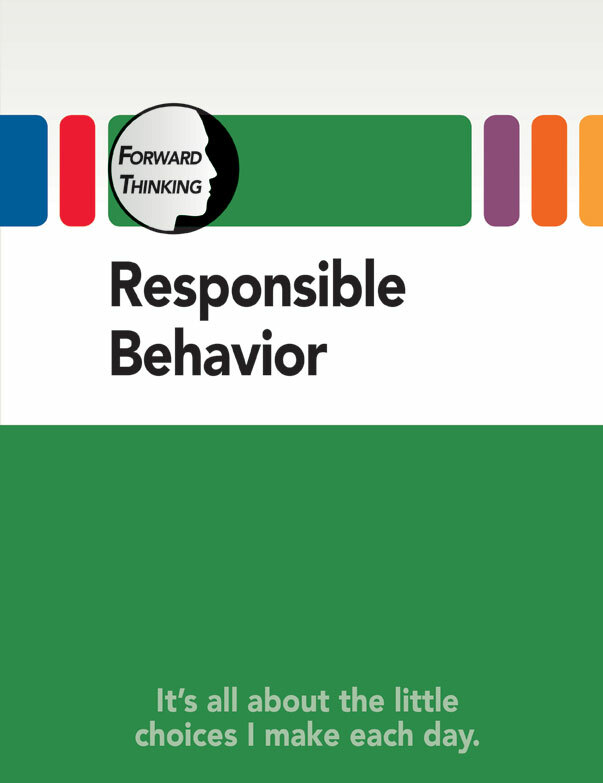 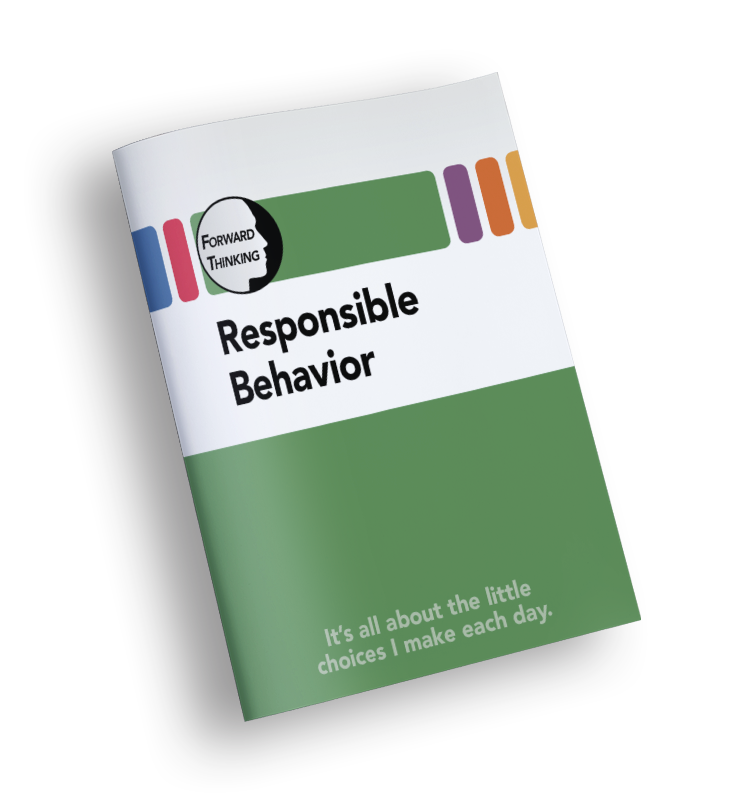 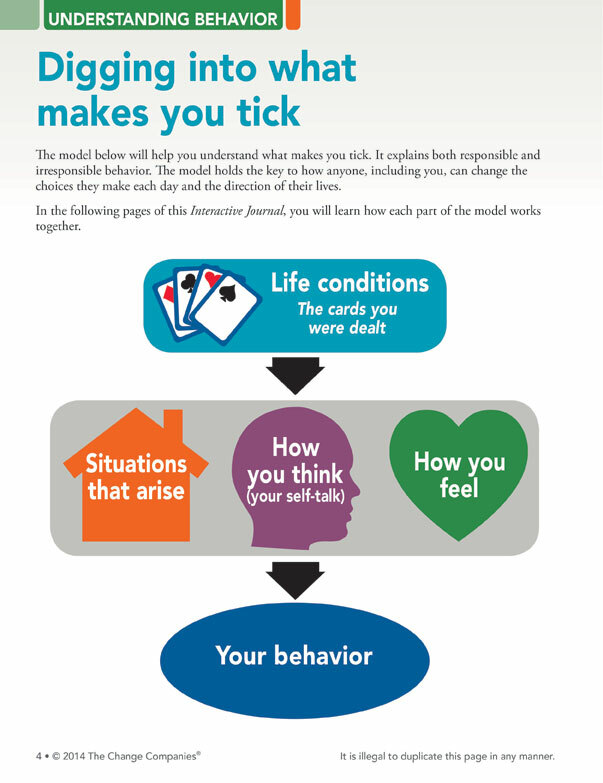 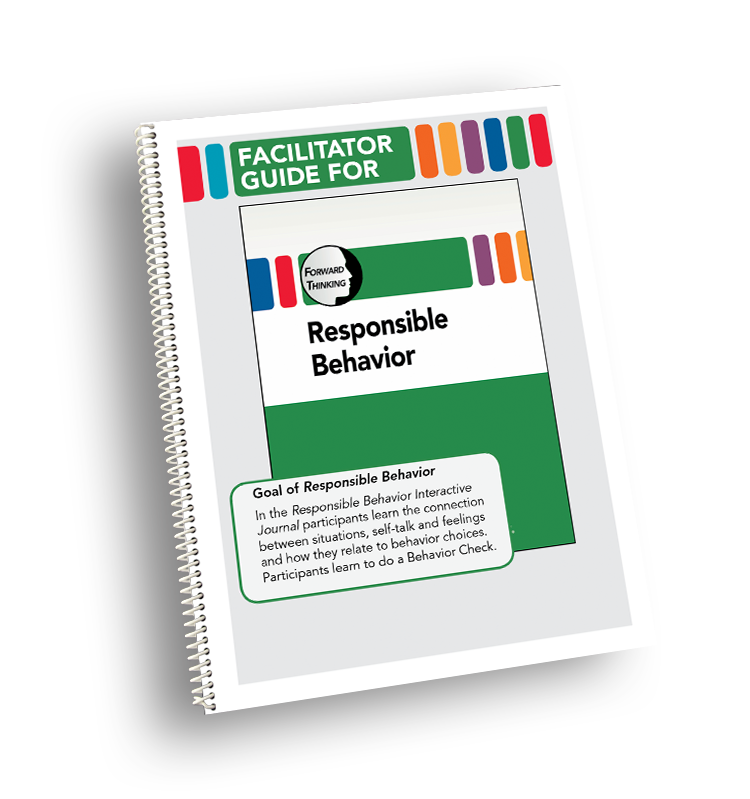 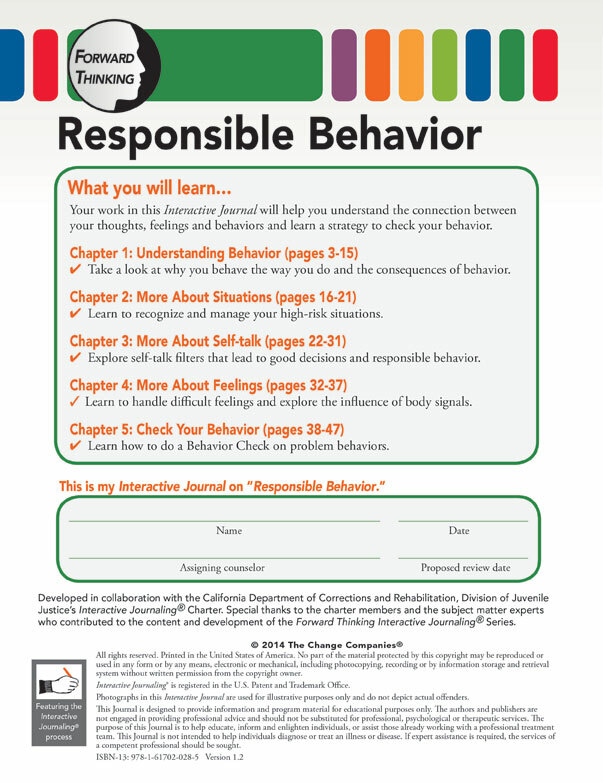 Responsible Behavior focuses on the link between thoughts, feelings and behaviors. 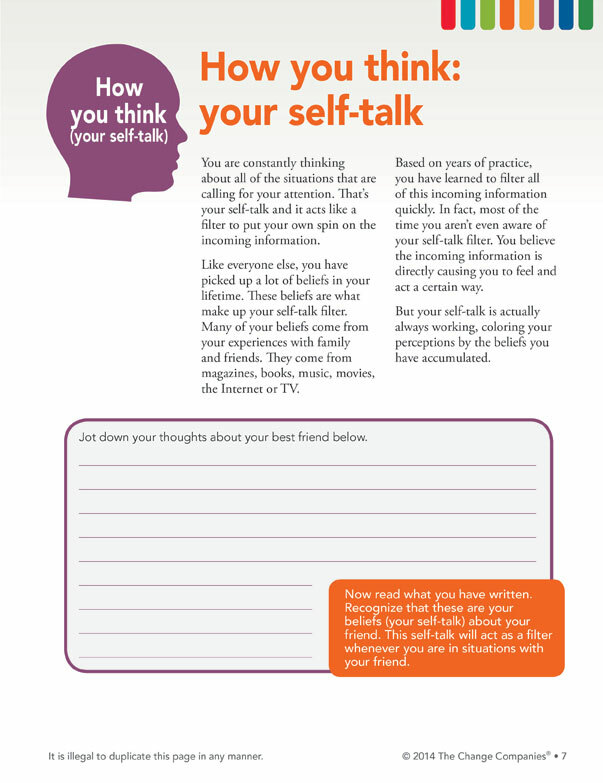 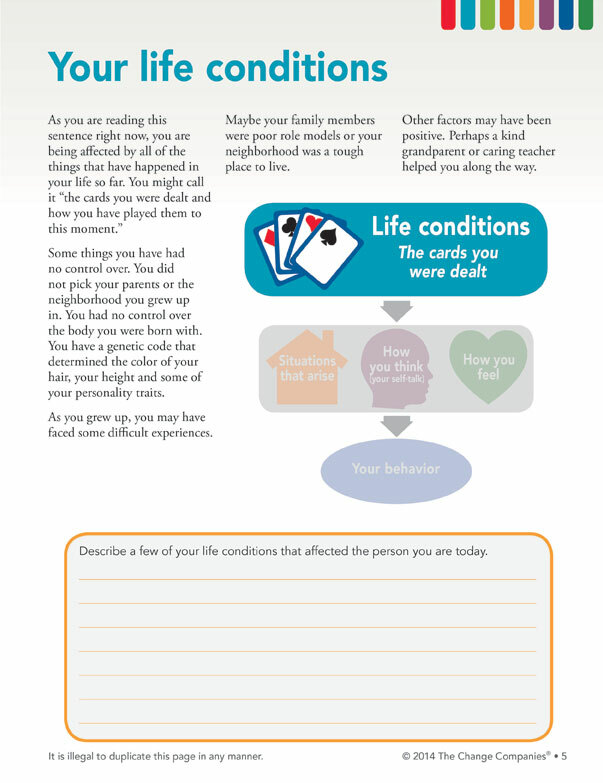 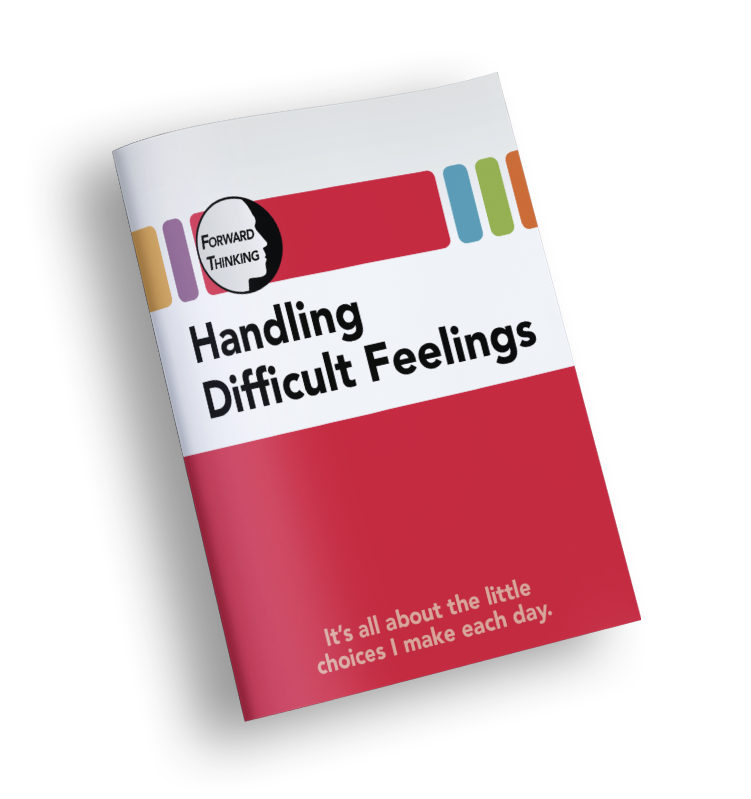 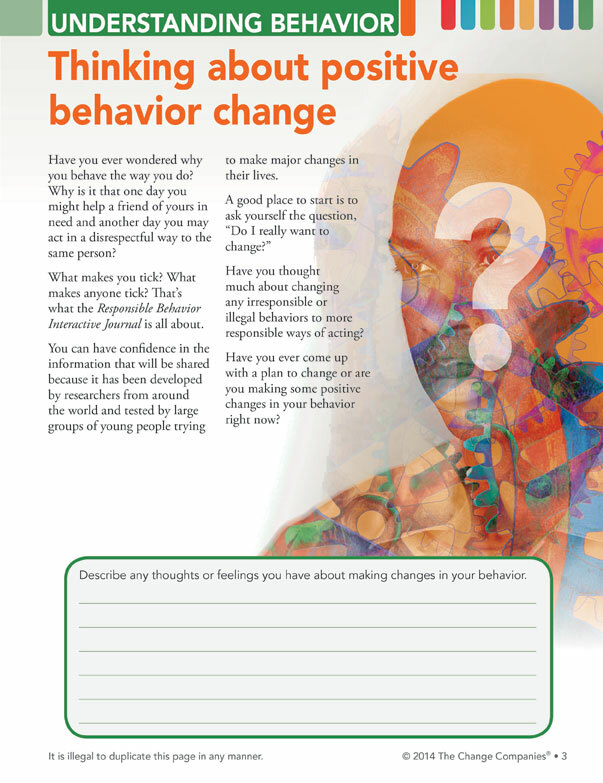 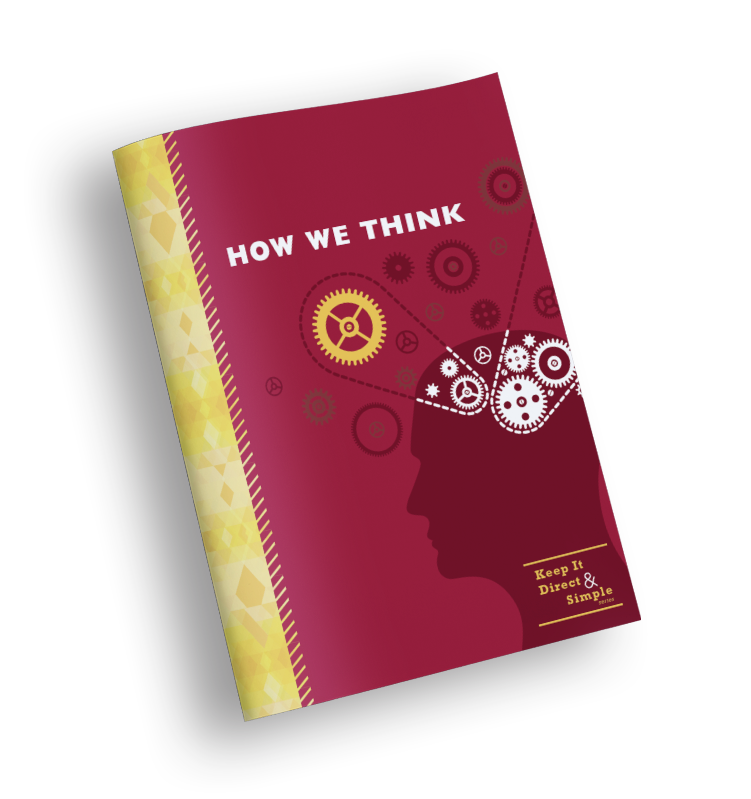 Participants explore the connection between situations, self-talk and feelings and how they relate to behavior choices. 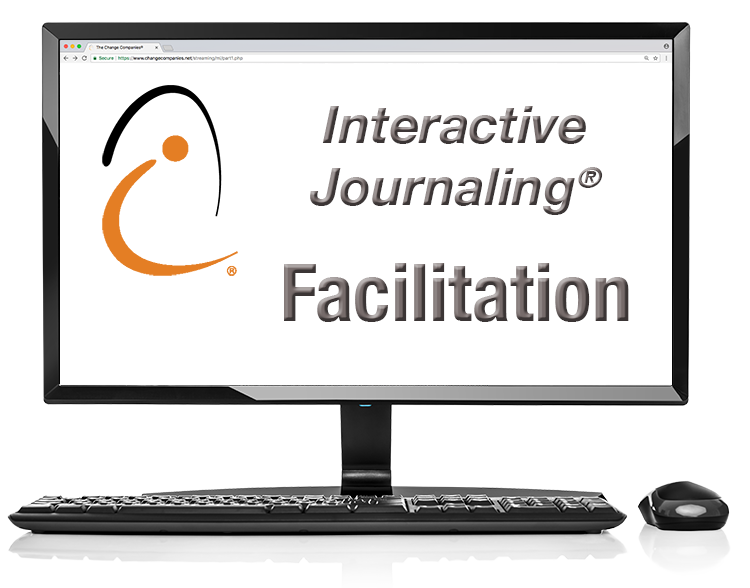 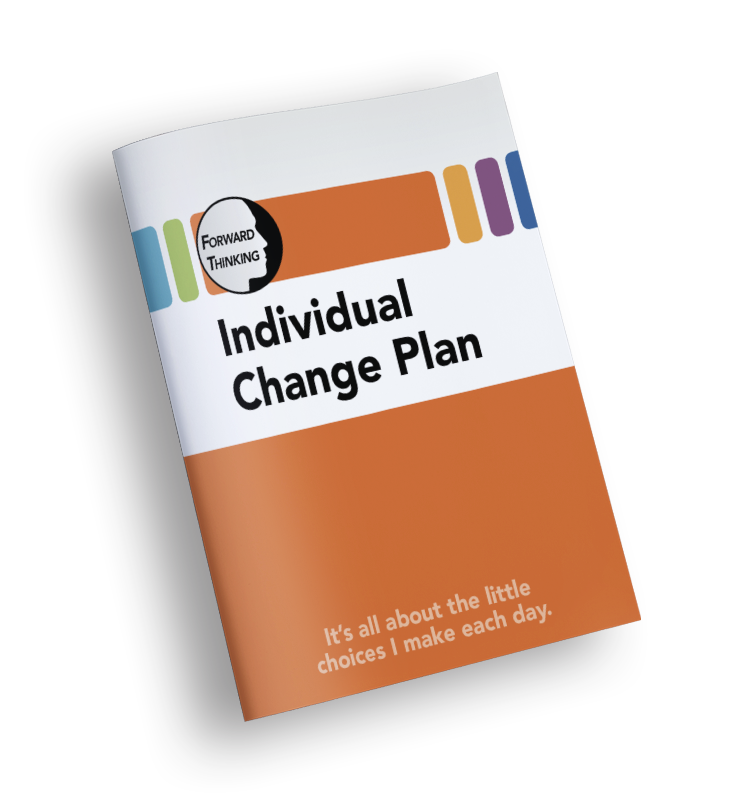 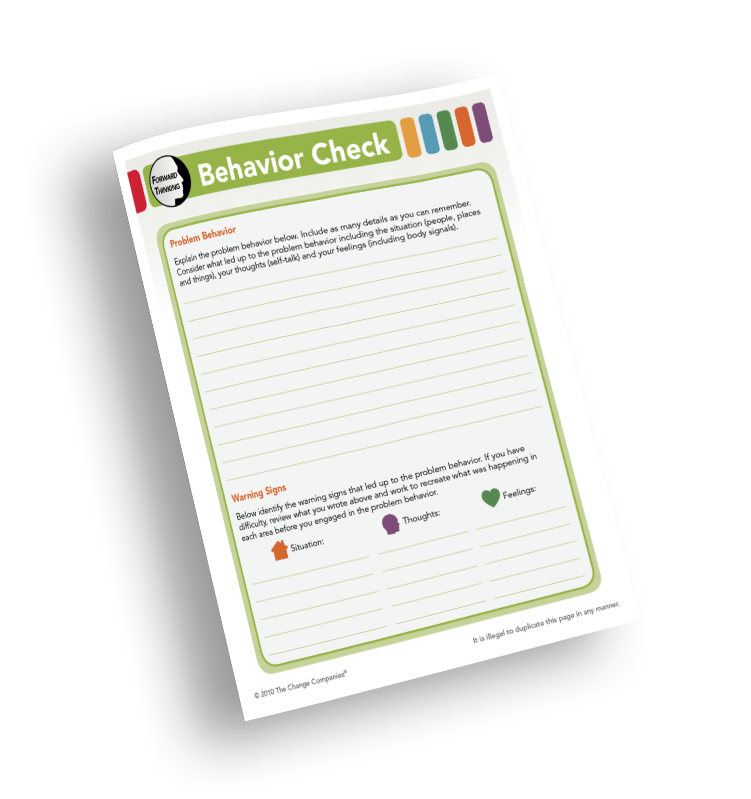 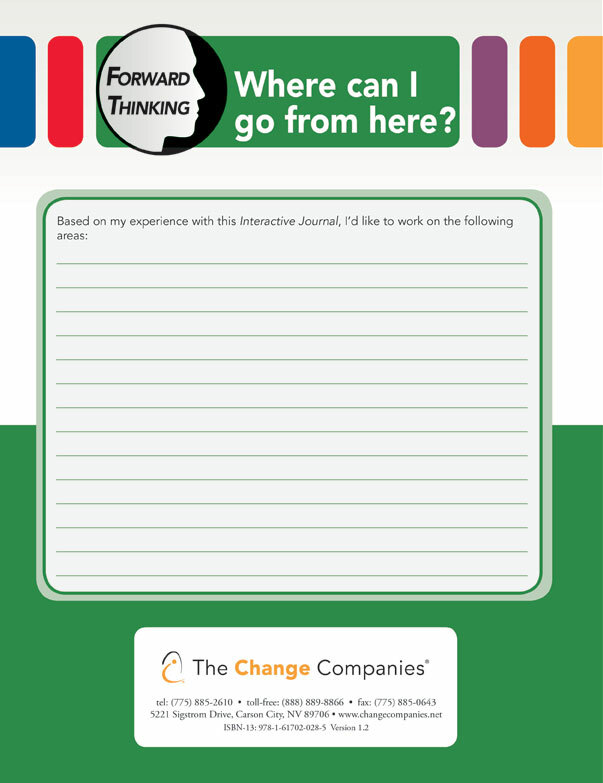 In this Journal, participants are introduced to the Behavior Check strategy for use throughout the treatment process.